Google Apps is a service provided by a Google; in this service every user can obtain custom domain names in reference of Google products. 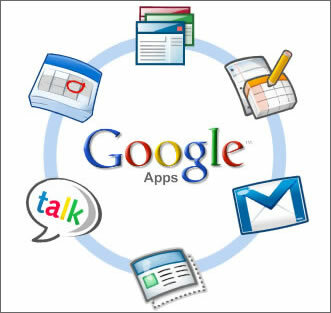 Google Apps comes with all possible kinds of web applications and features that a user might need to set up a office; in general Gmail accounts, Google talk, sites, Google documents and Google Calendar are features that a user may get with a Google Apps edition. There are three different editions of Google Apps; first one is known as standard edition and it comes with the storage space similar to Google accounts, The second edition is Premier edition which can be purchased with fifty dollars or it costs your just forty euros, basically this edition provides you with a facility of 25 GB email storage and you can buy this edition for few dollars for an year; the last and third edition is education edition which is free of cost and is designed taking into consideration features from the standard edition and premier edition. It means you can make the most of all features other edition in a single education edition and good point is that it does not cost you a dime! Google domain Apps helps a user to integrate all applications or programs on one central login system; for this off course a domain is imperative. It is not a tough task to get a registered domain, domains are easily accessible these days and to buy a domain online and have it registered is a matter of few minutes. In order to operate with premier edition you might have a domain. Google Apps is very valuable for a business to set up an office suite; as through Google Apps domain all business logins of Gmail accounts, sites, start page and documents can be integrated to one central system through business domain name. Google Apps for education is a standard and advanced IT solution for the 21st century education systems and institutions. Through Google Apps for education a teacher can communicate and interact with a big bunch of students or with a group/community in the class. Google Apps for education makes a connection between students, teachers, parents and other community and they communicate with each other on educational issues. So the tool is an ideal and moderate way to teach and interact with your students as Google controls all technical information and data.